Our 3-course program ranges from brand new rock climbers to seasoned vets who are looking to sharpen their skills or prepare for their next endeavor. The course progression is developed to build a foundation of knowledge that is built upon through courses and guided tours. Contact us to reserve a course-day for you! A beginner level course, this full-day outing will cover multiple skills starting with the preparation of your rope, common knots used, and how the gear works, followed by belay techniques and climbing movement. 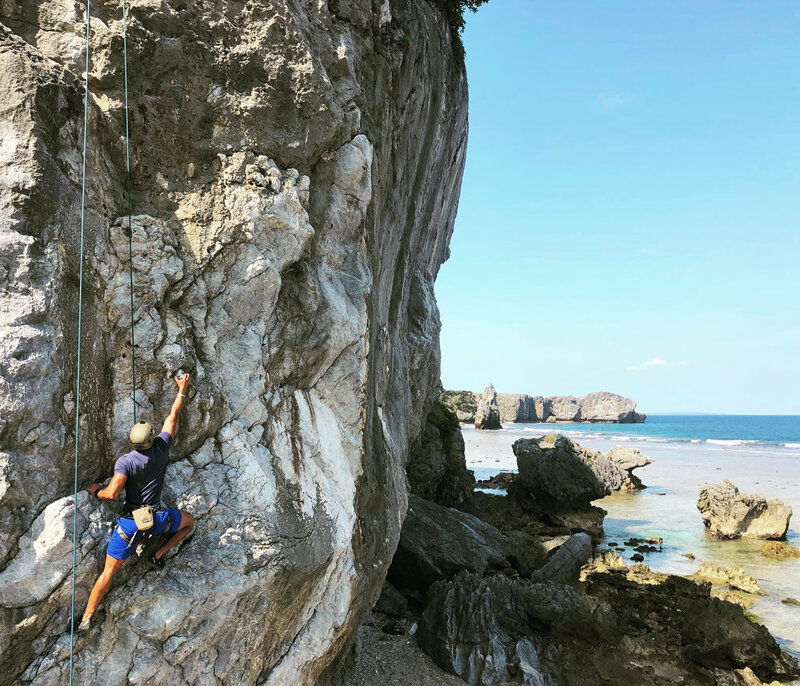 The "Intro to Rock Climbing" course is designed for adventurers seeking an escape from the climbing gym or for those interested in trying the sport in a safe, risk-mitigated location with professional instruction. Our mid-range climbing course is developed for climbers who are ready to make the transition from Top-Rope Climbing to lead-climbing moderate sport routes. 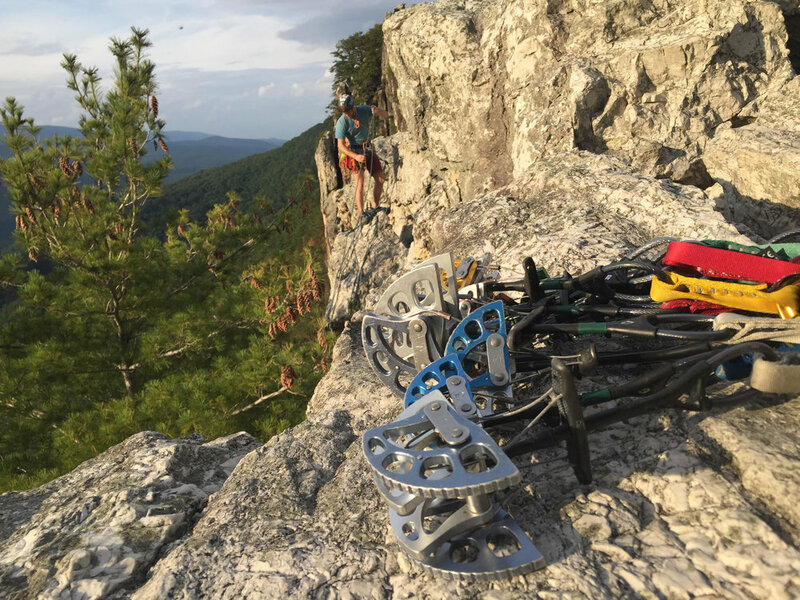 This full-day course will cover simple anchoring systems, rappelling skills, lead-belaying, and an in-depth instruction to sport climbing. For experienced rock climbers and mountaineers, the Advanced Traditional Climbing Course is the most technically saturated program offered. During this full-day course you will learn how to build simple and complex anchors using traditional climbing protection such as nuts, stoppers, camming devices and natural protection. Building off of your experience, we will continue to improve your skills negotiating belays from above and below, discuss route selection and practice the placement of rock protection on traditional routes.